Recycling has become an important part of our lifestyle thanks to an ongoing effort to save energy and conserve the environment. One of the products we recycle most is wood; the UK generates around 4.5 million tonnes of waste wood a year with over 60% going on to be recycled*, a figure that is happily increasing due to rising landfill taxes. 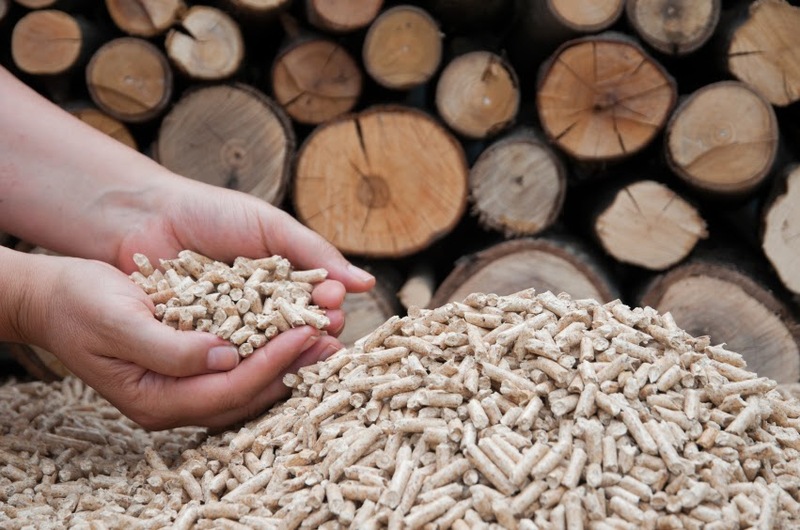 One end product of wood recycling is wood pellets, compressed sawdust that can be used for a variety of things including animal bedding and heating. The raw wood material goes through a stringent cleaning and sterilisation process which is followed up by duel dust extraction to produce the pellets, providing a warm absorbent bed for horses. The process of making wood pellets is quite easy; the wood is first ground into a dust and then compressed and forced through holes, similar to a mincing machine. This is a heated process and the pellets are held together by a natural lignin in the wood which makes up a quarter of dry wood, so no glue is needed. The pellets are then left to cool and harden. Wood pellets have a low moisture content so when small amounts of water are added to the pellets they expand and revert to sawdust making it absorbent and manageable, making mucking out so much easier and reducing the amount of bedding you require. The ease of storage and transportation provide additional benefits over traditional bedding such as hay. Wood pellets can also be used for cat litter and smaller animal bedding, such as hamsters, rabbits and guinea pigs. See more on horse bedding and wood pellets. Skips are seen all over the place; on the road to help ease of drop off, or on personal property in front or back gardens, but it’s important to bear in mind that the location must be suitable for the skip lorry to access as well as being in a convenient place for filling. If you don’t have the space on personal property and only have the option of public land such as a road or pathway, then you will need a permit from your Local Authority. The permits will take around three to four days to be issued with a maximum duration of seven days, LSPS can organise these permits on your behalf, find out how here. If you do have the space on personal property then you need to bear in mind that skips can be very heavy and may cause damage to tarmac or paved driveways, however we can advise you on the ideal location. When your skip is delivered then the location needs to be at least 2.75 metres wide (9 ft.) to allow the skip lorry access. Make sure that the skip doesn’t block any other access. Another important consideration is to not overload your skip as this will only have to be emptied to the legal limit. Read our advice on how to fill your skip effectively. Thinking of hiring a skip? Read our additional tips here. For tips on packing your skip effectively, click here. You want to make the most of the skip you’ve hired, but how can you pack it to use the space effectively, and get rid of all the waste and litter you need to. - Lay all flat items down on the bottom of the skip, such as table tops and cupboard doors. - Load in larger and bulkier items next, making sure you manoeuvre them so they’re fully enclosed in the skip. - Break up or crush any items such as furniture or wooden panels, these can then fit around the bulkier items. - Pack the remaining rubbish around the above, as this will prevent any air space. Don’t put items in the skip that the council can recycle such as glass and cardboard, this will free up more space for you to fill. Remember that skips have a weight limit; skip drivers groan out loud when they see an overloaded skip as it means emptying the extra waste. Mini skips are usually used for household or garden clearance which will generally fall into the weight restriction required. For more guidance on finding the skip that’s right for you, click here. To see the full list of items to be kept out of a skip, click here. Remember, if a skip looks overloaded, ask yourself one question: would you want to be driving behind the lorry that is carrying an overloaded skip?